Are you familiar with Japji, a beautiful poem written by Guru Nanak an enlightened master who walked this earth 500 years ago? After obtaining Samadhi (state of Oneness, beyond the duality of the mind) he shared these words as a guiding light for people towards their Divine True Self. Are these words still relevant you could ask? Yes, they most certainly are because of the power that is contained in the sound of these words, also called Naad. The vibration of these words alone is able to bring along positive transformation into the psyche of a human being, even when you do not understand them. Thus powerful they can awaken you such that you awaken your Souls destiny. Jap means to recite or to repeat. Through repetition with applied awareness the individual can obtain an experience of its eternal self or the soul, the ‘Ji’. 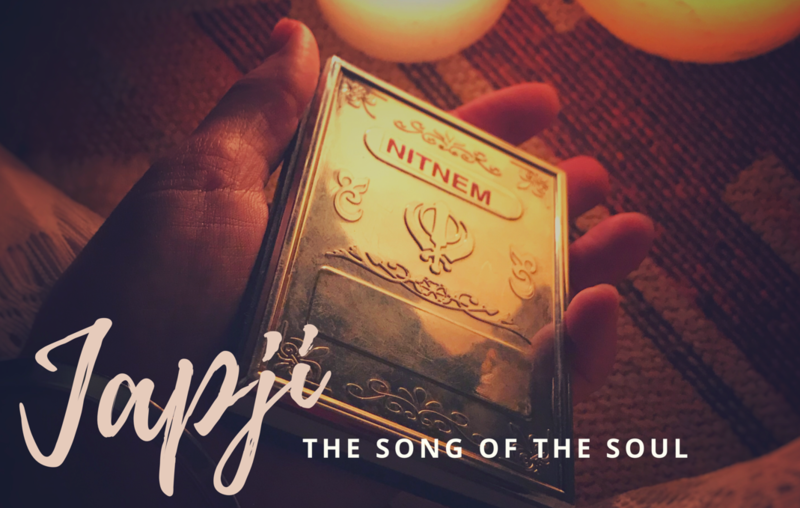 Japji is the Song of your Soul. You could say Japji is a transcendental medicine of sound to take you beyond the limitations of the human mind. Japji is structured into 40 Pauri (stanza’s). Pauri literally means ‘step’, like in a staircase. With each pauri you climb a step towards your True Self. Each of these steps have their own specific power and recited all together they are able to not only solve your problems, your problems dissolve. Does that mean the world around you will change? No, this means your outlook will drastically shift, you will understand and recognise your true position in this creation as a reflection of the One Divine Source. In the 40 Day Sadhana ‘Going Beyond’ we are going through each step together. Every day we learn and recite one Pauri and you will deepen your experience through the daily practice of the ‘Kriya for Transcendence’. It’s a deep spiritual inner journey.